- hardened & ground to 55 to 60 hrc. Banking on our enriched industry experience, we are engaged in offering a huge gamut of hardened & ground steel parallels. This high grade hardened & ground steel parallels are manufactured using premium grade raw material and advanced technology. These hardened & ground steel parallels are designed as per the latest trends and standards set by the industry. 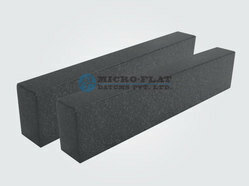 'TOOLFAST' Steel Parallels are used as precision packing supports under jobs or fixtures. Made from tool steel, hardened, tempered precision ground in matched pairs. Matched pairs are marked with identical serial numbers. All sides are chamfered. Overall sizes are nominal. >> Hardened Tempered 52 - 56 HRC. Steel Parallels are used for holding in position jobs on machine beds. these have an accuracy below 10 microns. 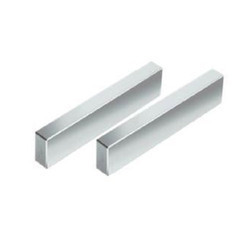 Steel ParallelSteel parallels are made from high quality steel .These steel parallels are available in hardened and precision ground finish. We are supplier of Parallels.